Birthday parties are always a big deal when you’re a kid. The anticipation alone can make any child burst with excitement. As a parent, we understand the significance these year milestones have with our child, and we go through a great deal of planning and preparing to ensure their success. Today let’s walk through some of the party planning basics that are necessary for any party preparation. The worst thing that can happen in the midst of party planning, is forgetting to give yourself enough time to complete each facet of the process. Generally speaking, starting to plan the birthday party five to six weeks ahead of time should suffice. First off, you will want to choose a theme of sorts for the event. Is your child a fan of dinosaurs? Or do they prefer a specific cartoon character? Whichever you choose, there are a variety of ways to implement this throughout the decorations and even the presents you choose. Another important task to start early is determining the guest list- a good rule of thumb is to invite the number of children your child is in age, plus one additional. Make sure to solidify the availability of the party date with your child’s closest friend or friends. Once the guest list and the date is confirmed, address the invitations and send them out about three weeks ahead of time, that way you’ll have a good amount of time to receive a response. In addition to verifying the guest list, you will want to determine the location of the birthday party and the games or events that they’re wanting to play. For example, if you have the party in your backyard, you’ll only need to contemplate the entertainment and games to engage in. On the flip side, if you choose to host the party at a location, such as Jumpin’ Jamboree, the kids will have hours of playtime without the need to hire out entertainment! The second portion of this is deciding what decorations you will be using. When you choose to host the party at a different location, you will want to take note of the time frame you have to set up and tear down any decorations. At Jumpin’ Jamboree, we provide all your party supply needs, from streamers to balloons. The best part? We set everything up ahead of time, and remove everything when it’s finished, no effort on your part is needed! We even take care of the cake. At Jumpin’ Jamboree, we work hard to make sure you don’t need to! We provide all the accommodations needed for a successful and fun birthday party, including: food, cake, decorations, plates, silverware, a party throne for the birthday boy or girl, and hours of endless fun with our inflatable playground! 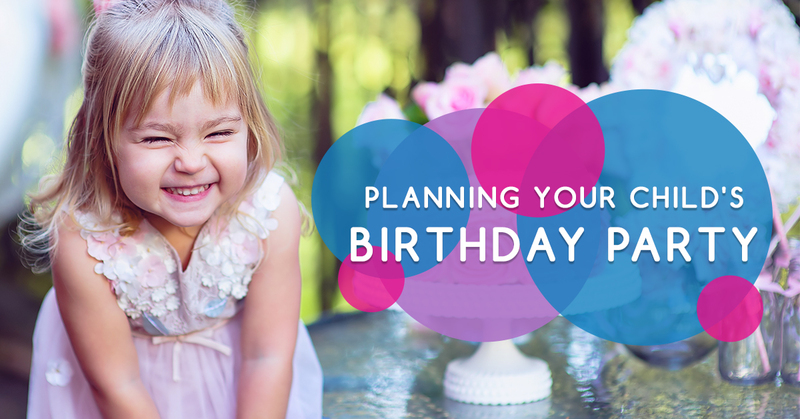 Let us take care of all the party planning stress, call and book your little one’s birthday party today.